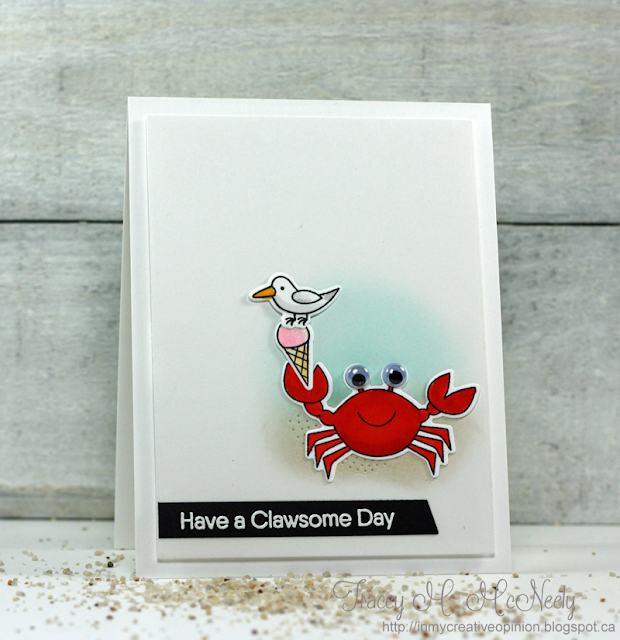 I was excited to use my new MFT Stamps Just Beclaws stamp set and Die-namic before summer is officially over! Once again today is super hot and it's the strangest thing to see all the leaves that have turned for autumn raining down. Around here, even when we have a warm fall, the autumn air is usually cooler and crisp when we start to see the leaves come down. I am entering this card into the MFT 2018 Card Design Superstar contest in the Clean and Simple Category, my favourite type of card to create! 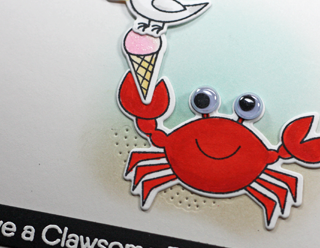 My cute little crabby was coloured with Copic markers, and I added googley eyes to him for fun! I am pretty sure that Karolyn Loncon added googley eyes to her crab during the June release posts! The beach and water were sponged with some MFT Stamps ink cubes and the sand detail using the die from Just Beclaws was added to the sand. The ice cream cone was Copic coloured and sparkled with the camera shy and elusive clear Wink of Stella! Yay for new stamps and dies! This is CAS cuteness Tracey. 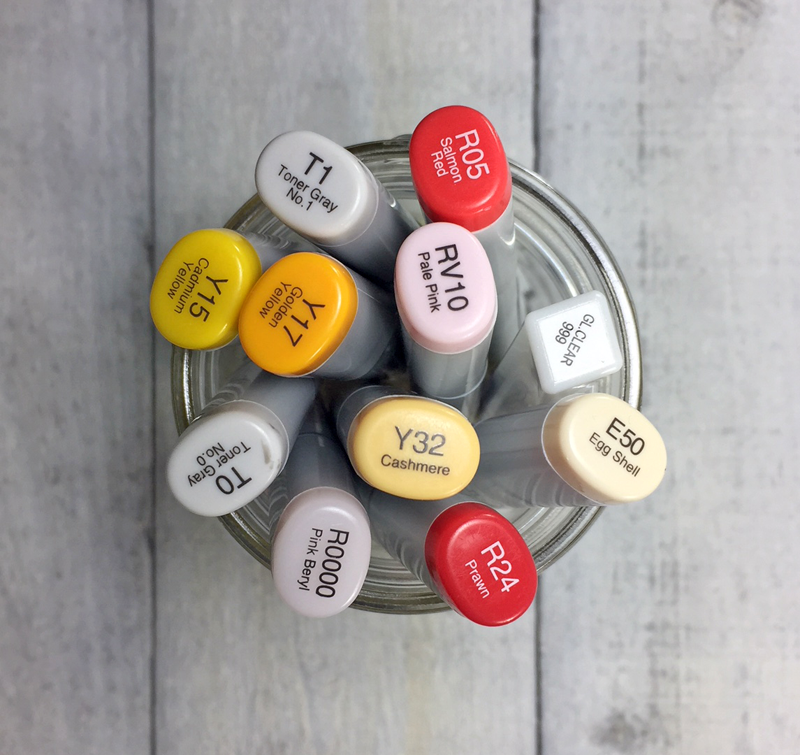 Your coloring looks great. Good Luck! A gorgeous card, Tracey. Good luck! Over here in Crete, the weather is also 'off'. Normally, we don't get any rain, thunderstorms and cloudy days until mid October. Temperatures are still summery, though. This is a darling card Tracey, and my most favorite CAS design. He is beyond cute with those googly eyes :) Great card - good luck! really love this card T! Good luck!